At first glance, the new CD/DVD set from acclaimed Texas bluesman Mike Zito is very similar to that of Dana Fuchs, recently reviewed by yours truly in this magazine. Both sets are entitled Songs from the Road; both are released by Ruf Records; both feature black-and-white cover art, and both contain more tracks on the DVD than on the audio disc. However, zesty Zito (rhymes with “Frito”) and his band the Wheel perform completely different selections from Ms. Fuchs. 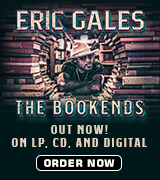 That’s why die-hard blues rock fans should treat these two offerings as a complementary pair, instead of a redundant one. Like red and white wine, they go together, albeit with different musical “entrées.” Dana’s blues are the “white”, crisp and sophisticated, while Mike Zito’s “red” songs are more robust and full-bodied. He performs 12 tunes on the CD and 13 on the DVD. Prince’s “Little Red Corvette” is the most recognizable cover between the two of them. With Mike on vocals and guitar are the strong spokes of “the Wheel” – Jimmy Carpenter on vocals and saxophone, Scot Sutherland on vocals and bass guitar, Lewis Stephens on piano and organ, Rob Lee on drums and percussion, and James “The Blueshound” Nagel on introductions. Track 03 (CD) and 02 (DVD): “Greyhound” – Slightly reminiscent of John Mellencamp’s “Hurt So Good” and Jackson Browne’s “Running on Empty”, this is the autobiographical tale of a drug-addicted Mike in September of 2002. He had stolen his dad’s credit card and bought a one-way bus ticket to Florida: “Run away; run away. I’m leaving today. Yeah, there’s nothing like the sound, all alone on Greyhound, yeah.” Zito’s lead guitar is down-and-dirty, undeniably raw. Track 11 (CD) and 08 (DVD): “Subtraction Blues” – In this equation of love, one and one don’t equal two forever: “Well, now, the math just don’t add up. She got the numbers way over my head…She knows I can’t subtract, not that fast, just a-lyin’ in bed. She gets the best of me.” The wry guitar refrain and smirking sax make up for the romantic deficit, as do the piano keyboards. Track 12 (DVD): “Natural Born Lover” – “I fixed my hair tonight – two or three times,” Mike jokes before launching into this DVD-exclusive number. 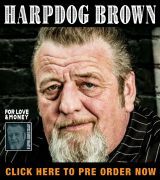 It’s a blues stomp that gets right down to the business of love. The crowd at the Dosey Doe sits entranced as the Wheel turns out some fantastic blues, especially Lewis Stephens on piano keys. 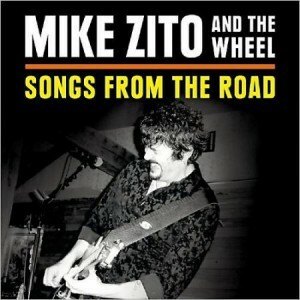 Enjoy Mike Zito’s Songs from the Road as a great edition in Ruf Records’ live series!